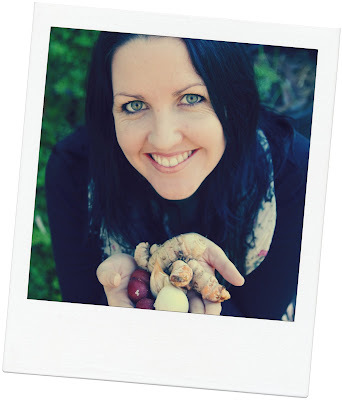 My name is Amber Cardozo and I am a Sustainable and Healthy Living Consultant on the sunny Central Coast, NSW. Here you can see my work, my life and my passion to teach others green living skills. This embodies many different topics and elements that go into each day. I give special focus to healthy and informed food planning, ethical and sustainable consuming, natural remedies, sustainable living, permaculture and over all conscious living within each day. In my work I show ways in which we here incorporate 'green' choices into our home and life and I share my experiences of doing this. Here you can also find the services I offer and just a few of my simple recipes that are nutritious, green friendly and easy. At this present time we are all faced with some serious global issues in regard to the environment, our food and the implications these two things both have on a community and the world around us and I spend my days working, planning, improving and teaching the quality and care of our impact here. Over the past 12 years I have juggled full time mothering and studying in Natural medicine, Clinical Nutrition, Alternative healing remedies and most recently I have just completed my studies in Permaculture (PDC) — the permanent culture of our society and each and every one of us. I also run and organic food co-op with my dear friend. Within this busy and nourishing time I have been privileged to learn how to make informed choices on foods, medicines and many other lifestyle considerations to benefit my family, the community and the environment. I run workshops, educational sessions, demonstrations and also offer one on one consultation to corporations, community organisations and individuals that are aiming to improve their overall health, understanding and awareness of foods, ethical purchasing and green living. I build and empower people to make simple choices in their lives that obtain positive results and have lasting benefits. Here we can build better foundations to a healthier, more environmentally friendly and happier life, where we are empowered to make choices that will create positive change.